GARYTALK.COM – Most true Journalists are NOT “the enemy of the people” and do NOT produce and publish “fake news” for their readers and viewers to consume, as the 45th United States President, Donald J. Trump, attempts to mislead his followers to believe. Coming from a career of gathering and reporting news as a Journalist for several decades, now that I’m semi-retired, I can’t resist weighing in on what’s been happening recently. President Trump is constantly confusing the issue, and, possibly purposely, or inadvertently, causing extreme harm to the American democracy, in many ways, but to narrow this down a bit, this is about his claims of “fake news”. Calling it that is far from the truth. 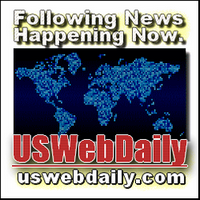 GARYTALK.COM – Facebook is ramping up it’s efforts to respond to the real threat to the United States democratic process this country’s intelligence agencies are warning about. The social media giant’s members were inundated with disinformation, misinformation and other campaigns meant to steer voters’ choices at the 2016 ballot box. There is fear that the persuasiveness of highly suspect untrue details being spread like wildfire by, sometimes, unsuspecting users via the Facebook Friends “sharing” posts to one another, may affect upcoming elections. Facebook has introduced at least one wrung in it’s plan to get voter truth back into the election system by turning off one possible avenue of misinformation. Let me explain. 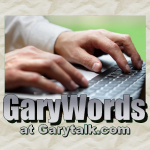 GARYTALK.COM – I’ve not written anything for my GaryWords section of Garytalk for quite awhile. It’s not that I’ve taken a vacation, or anything as pleasurable as that. It’s quite the opposite. During my retirement years, I’ve been partially busy writing and editing content for eight websites. Additionally, I’ve been occupied with curating and processing photos for optimal internet viewing on and for the same websites. I also maintain each of the websites as webmaster, which requires a little, internal, technical work now and then. But, that’s not all. GARYTALK.COM (GARYWORDS 11-19-2017) – We’ve given some close scrutiny behind the headlines of the Frankenstory causing a stir of sorts. In reality, it’s not what it seems, but, the situation was bound to lead to this development. The stampede of ME-TOO-ism is muddying up the waters and, unintentionally, I’m sure, dirtying some fine people who have been doing some otherwise great things. Some of them, such as Minnesota U.S. Senator Al Franken (photo insert-left), have apparently not done anything terrible enough to warrant them resigning, as some people are suggesting. In Franken’s case, it just does not appear to be warranted.